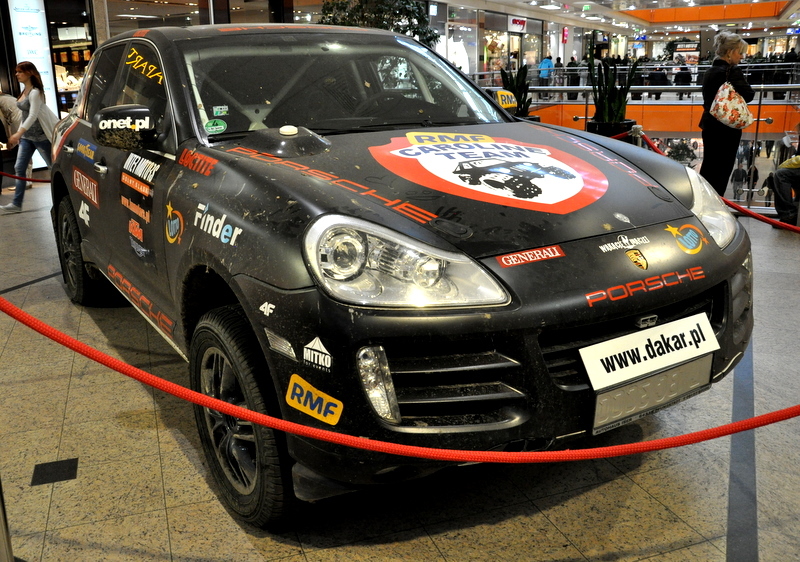 Some time ago one of the shopping malls in Wrocław, Galeria Dominikańska (The Dominican Gallery) to be exact, was advertising all over the radio about their “Dakar Race Show” inside the mall. 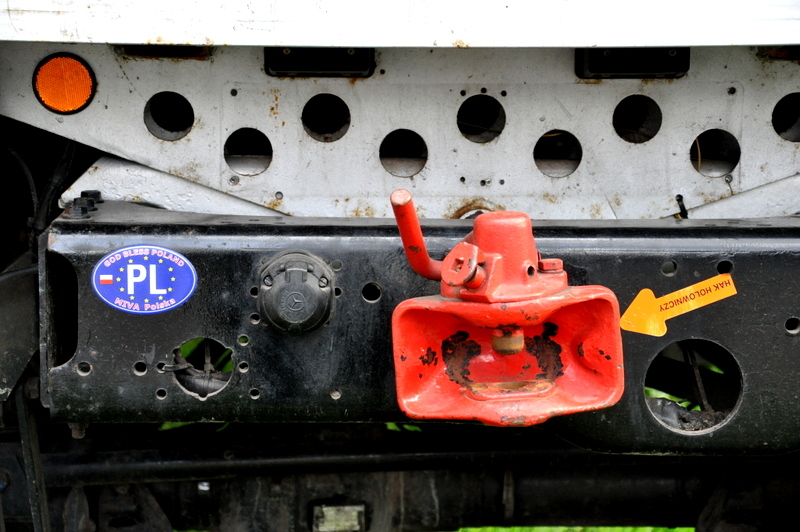 We happened to stop by one afternoon and here are a few photos from this event. 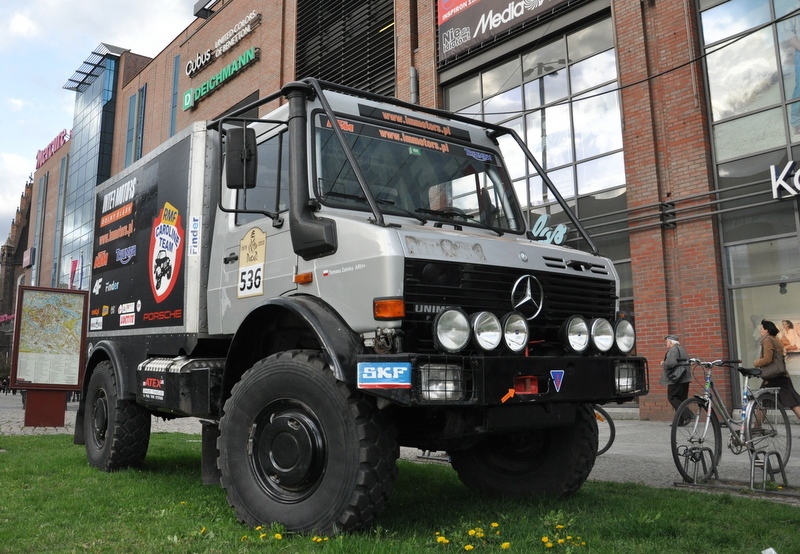 I can’t say that I was at all impressed; a couple of dirty cars and a motorcycle dealer presenting their gear does not automatically translate into a big deal they made it out to be on the radio. Seriously, my car’s been dirtier than that, so what gives? 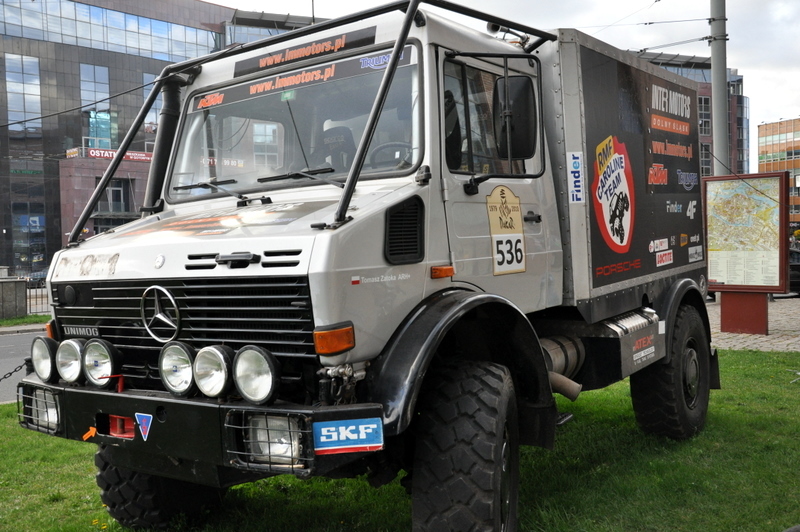 The Unimog in front of the mall was a nice touch, I love that beast of a car and wouldn’t mind taking it around during the rush hour traffic, it’s a street legal tank! 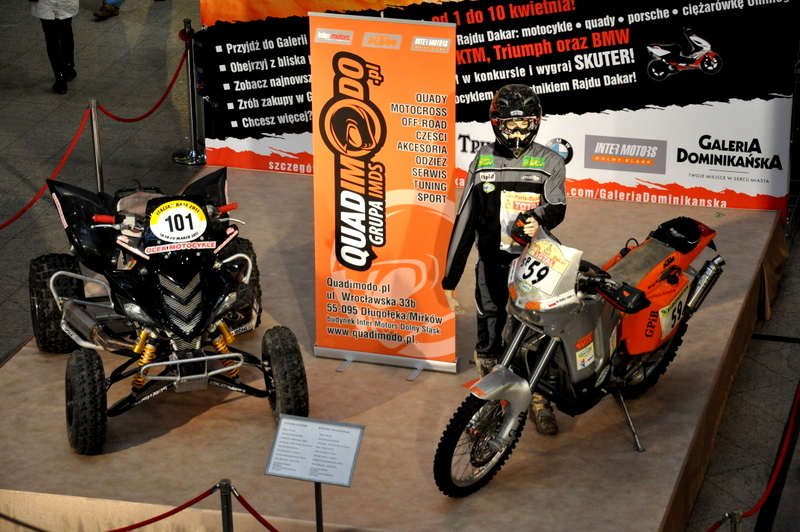 Poland is pretty big on the Dakar race and we do fairly well every year mainly in the motorcycle and quad category. Our best car driver Krzystof Hołowczyc can somehow never place on the podium but that hasn’t stopped him from lending his voice to a GPS company AutoMapa. “Make a right ahead, dude” just doesn’t sound right in my opinion. Plus a guy voice on the GPS… I think I prefer a female voice instead. 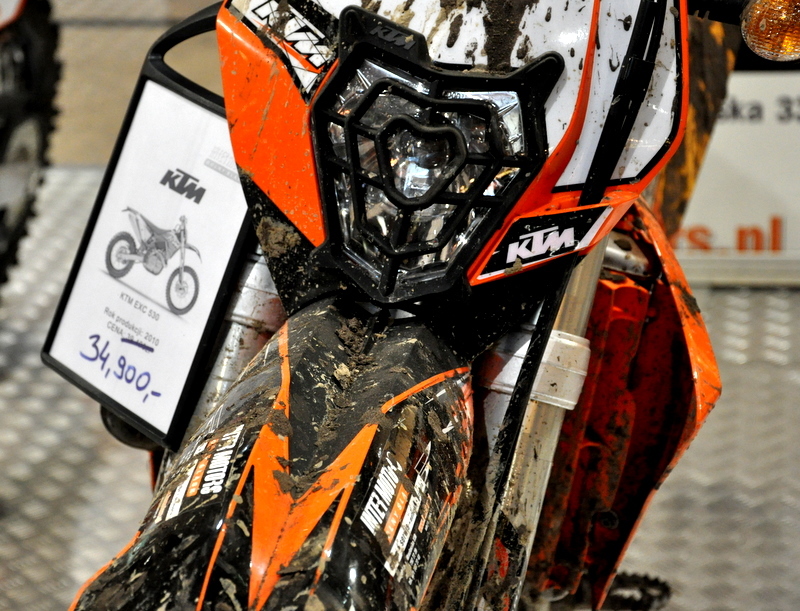 Best of all were the KTM motorcycles. The price tag was a little steep considering my next car will most likely cost less than a brand new KTM motorcycle, but holy crap they are nice machines. Two stainless steel saddles and the world has no limit. Let the day dreaming begin.